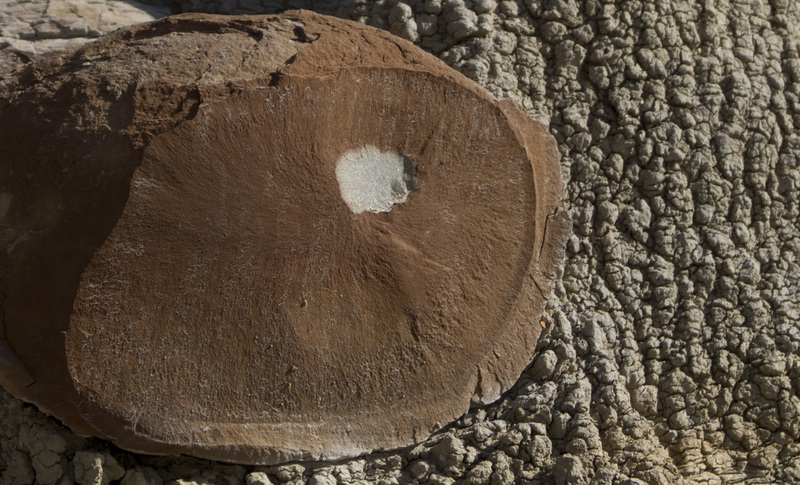 Friends, these brown round rocks are concretions, a cemented sandstone that is found throughout the badlands. The Romans made a cement from limestone, volcanic ash and clay. These elements were all present in the early badlands and it is feasible that a natural cement was formed from mixtures of limestone (calcium carbonate) ,clays and volcanic ash. This cement concentrated in a softer sediment and the cannonballs were formed. Now the softer clay layer is eroding and these concretions are falling out of the walls. 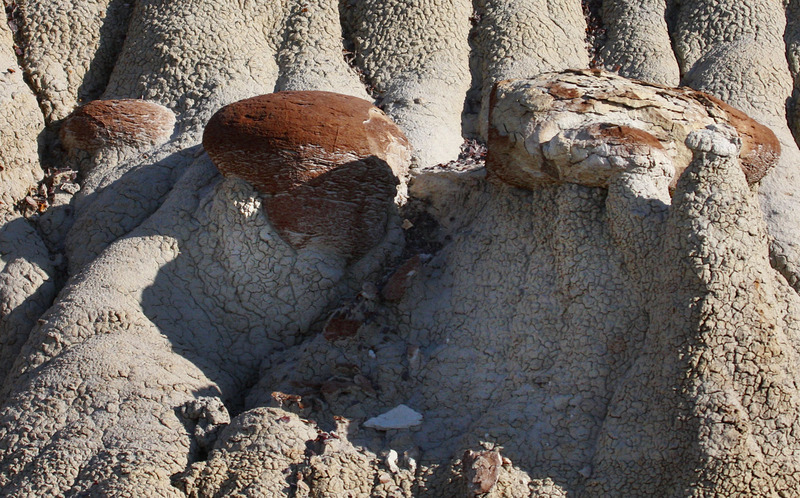 Posted on March 28, 2012, in Badlands, Geology, Nature and tagged badlands, cannon balls, concretions, mjspringett, photography, postaday, scoria. Bookmark the permalink. 1 Comment.